The 2017 Willow Waterhole Music Festival Performance Schedule has been finalized and and announced. This year's lineup consists of 16 pro bands/performers and 7 student school bands covering a wide spectrum of music genres from Contemporary Jazz to Classic Rock, from Latin Big Band to Blues and R&B! 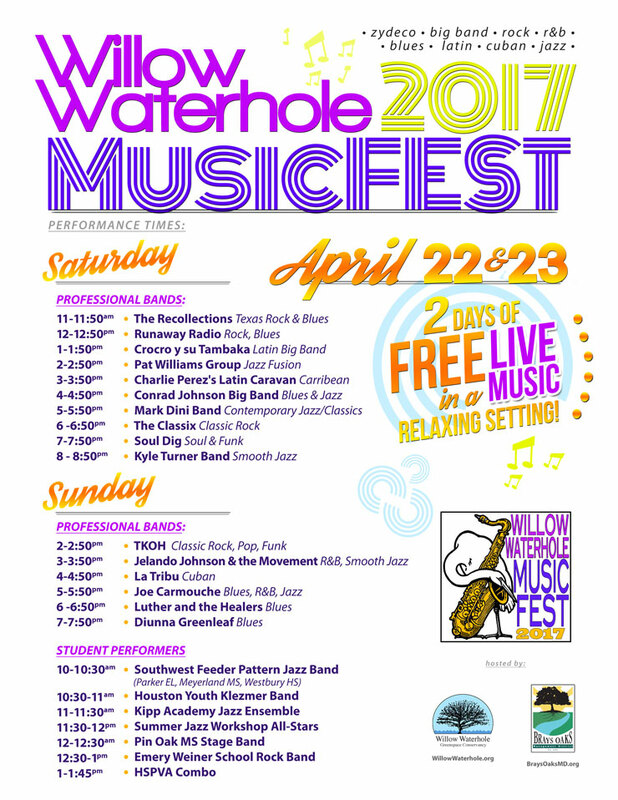 Join us for another 2 days of fabulous music totally FREE at the Willow Waterhole MusicFEST 2017. Please also visit our MusicFEST 2017 Performers page for more information on the participating bands and musicians.